The heart-shaped box borders on cliché as a symbol of Valentine’s Day. Whether you deride it, secretly pine for it, or outright request it, I’ll bet even money you’ve unwrapped the ribbon and slid the lid off a satiny coeur de chocolat at least once in your life. 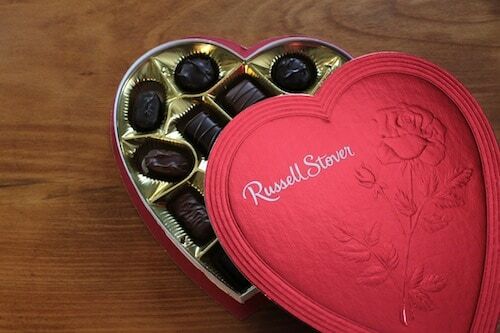 But in your eagerness to gobble the chocolates inside, have you ever paused to think about the package itself? For almost half a century, Joe Ehrenfeld certainly did. To him, the box wasn’t a cliché, it was a cash cow, the guaranteed moneymaker for the business he ran, A. Klein & Co. in New York City. As his daughter, Joanne Okuhn, tells the story, her great-uncle Adolph Klein had been the founder and proprietor of a small company specializing in heart-shaped boxes since the very early 1900s. 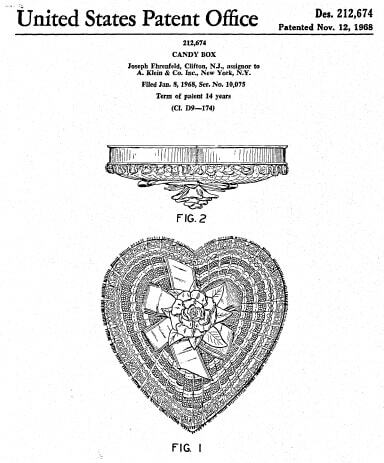 Adolph’s nephew Ehrenfeld had been in dental school but came aboard to help out, and ended up expanding the business to become the premier Valentine’s box manufacturer in the country. 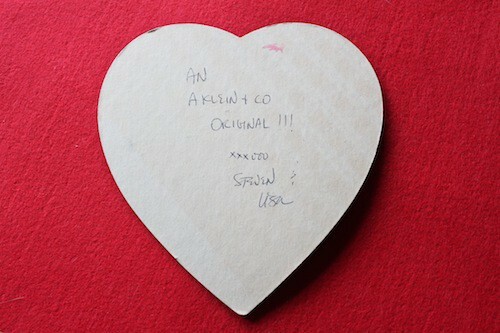 The secret, according to Okuhn, to the heart-shaped boxes’ singular success was their patented design: A. Klein boxes were the only Valentine’s packages to sport a seamless ribbon. In the days of elaborate lacy ruffles and satin whorls, A. Klein put its own stamp on the heavily ornamented cardboard carriages for chocolate confections. 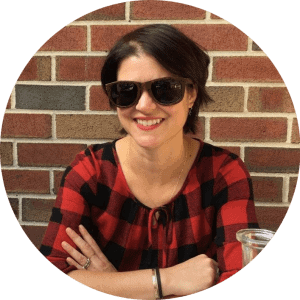 Candymakers were more than appreciative of Ehrenfeld’s efforts—Okuhn recalls special deliveries of exclusive candy bar flavors arriving at the family’s New Jersey home for her to taste. Ehrenfeld ran the company as a “benevolent despot” (in his daughter’s words) until his retirement, when he sold the company—and guaranteed continued employment for his workers under the incoming leadership. “Everyone from Mo the elevator operator to Becky and her coworkers on the line kept their job if they wanted it,” Okuhn remembers. A. Klein also sold its building in Chelsea and moved operations to a factory in Long Island City until 1971, when new owner Jesse Salwen took A. Klein a few states south to North Carolina. Though Ehrenfeld and Adolph Klein had little interest in making packages for many holidays beyond Valentine’s Day, in later years, Salwen created Easter boxes for the White House during the G.W. Bush years and developed intricate perfume boxes for Oscar de la Renta. This American manufacturing tale, however, ended in a sadly familiar way: the recession caught up with A Klein & Co. and Salwen closed its doors in 2008. The company may be gone, but its imprint endures. Though no longer as intricate as in days of old, the boxes stacked high at every Walgreen’s and Wegman’s throughout the country each February are testament to the innovation of A. Klein and Mr. Joe Ehrenfeld. It’s not a cliché or a fallback gift after all; it’s an iconic Valentine that spread across America direct from the heart of New York City.